The theme verses for this month’s Box are the well known Christmas verses from Luke: And there were shepherds living out in the fields nearby, keeping watch over their flocks at night. An angel of the Lord appeared to them, and the glory of the Lord shone around them and they were terrified. But the angel said to them, "Do not be afraid. I bring you good news of great joy that will be for all the people. Today in the town of David a Savior has been born to you; He is Christ the Lord." 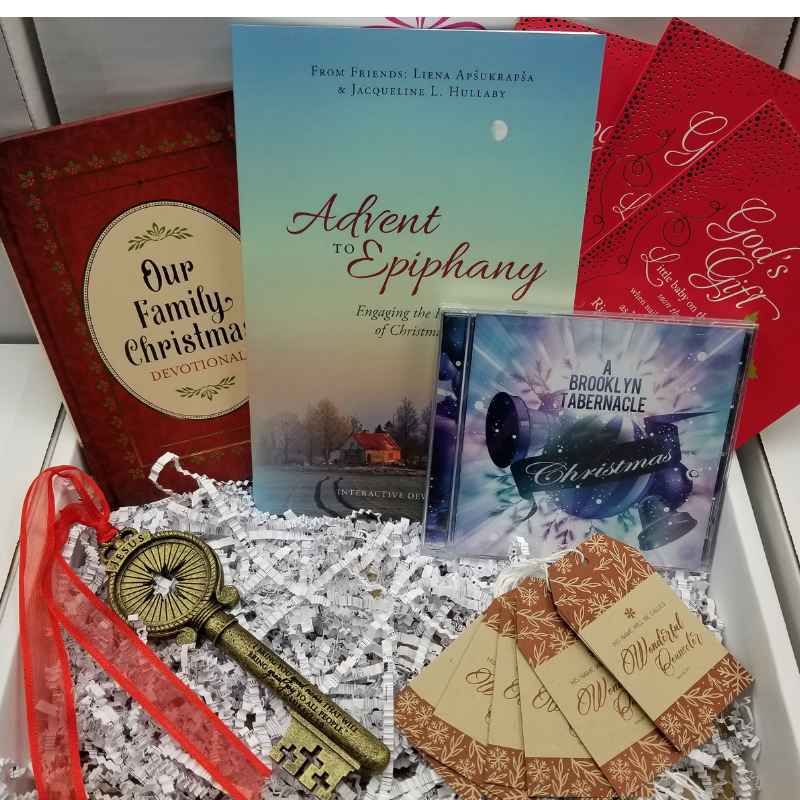 Luke 2:8-11 This Box includes the study Advent to Epiphany, the devotional Our Family Christmas, a Christmas CD by the Brooklyn Tabernacle Choir, the Key to Christmas ornament, God's Gift Christmas cards by Dayspring and a set of gift tags.